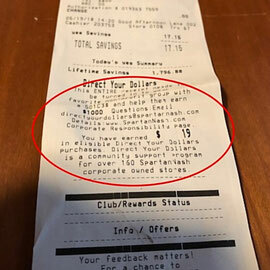 Some of your receipts had to be thrown out because the bottom portion had been cut or torn off. We can only use the number that follows, "You have earned $$$ in eligible Direct Dollars purchases" (see example above showing $19 earned). 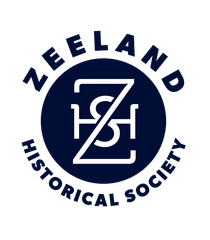 Through SpartanNash's Direct Your Dollars™ program, The Zeeland Historical Society can earn $1,000 !! 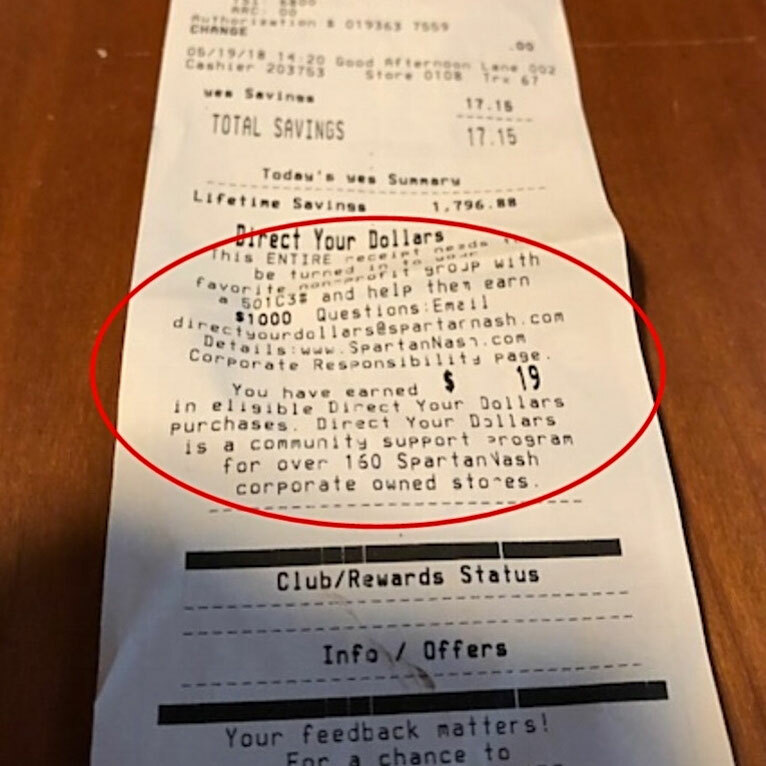 All we have to do is collect $150,000 in eligible receipts from any of the SpartanNash-owned retail stores or fuel centers in nine states. 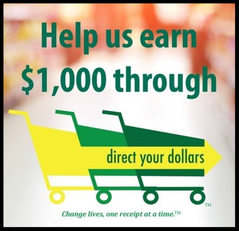 - in Zeeland and neighboring areas, that would be D&W and Family Fare.